I am an anthropologist researching postwar revival and development in Lao PDR (Laos), the most cluster-bombed country in the world (Branfman 2013). Through fieldwork with development organizations and bomb clearance operators, I examine how ongoing violence, due to explosive remnants of war, is incorporated into peacetime development. Inspired by the theme of this series, Inhabitable Worlds, I take this opportunity to interrogate how war-contaminated areas are also sites of disability care and assistance. How are hazardous areas productive of certain kinds of bodies and disabilities? Is living in danger a disability? The ethnographic data I use in this paper is by no means characteristic of the entire disability sector in Laos, but is perhaps characteristic of the confluence of danger and rehabilitation in postwar zones. Here, I trace my thinking through this phenomena towards the beginnings of a theory of bomb ecologies. I am studying a context in which people qualify for social services based on their status as disabled or as war victims/survivors; but, in practice, what qualified people as one or the other is very uncertain. I hesitate to offer definitions of disability, victimhood, or survivorship since definitions are not forthcoming from my ethnographic data. Definitions might mislead the reader into thinking that these are stable categories applied to groups of people in Laos—a mode of thought that is counter to my goal in this post. In Laos, there is no consensus among stakeholders about the definitions of disability, victimhood, or survivorship. 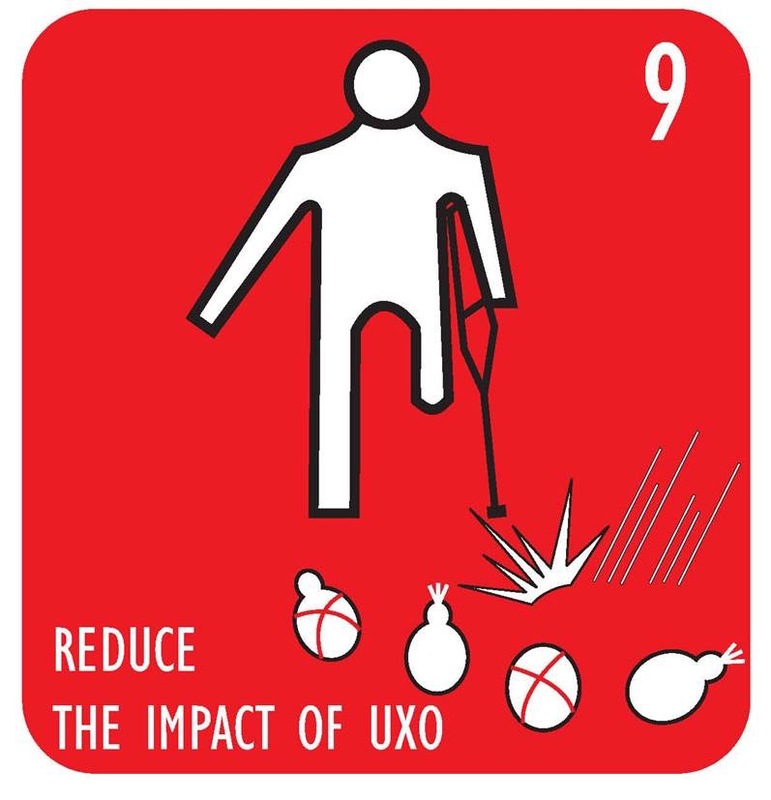 The Convention on Cluster Munitions, for example, defines victims as “all persons who have been killed or suffered physical or psychological injury, economic loss, social marginalisation or substantial impairment of the realisation of their rights caused by the use of cluster munitions. They include those persons directly impacted by cluster munitions as well as their affected families and communities” (Article 2.1). Given the extreme levels of contamination in Laos, victim assistance interlocutors recognize that all Lao citizens qualify as victims under the Convention and, therefore, use this definition with caution. In practice, victim generally refers to people who have been physically injured by unexploded ordnance left over from the Vietnam-American War (note that this definition does not include people with non-physical injuries or those impacted by Agent Orange). Survivor refers to victims that survive the explosion. There is no consensus on the Lao word or definition for disability and the English phrase people with disabilities (usually shortened to PWD) predominates. Disability generally refers to people with physical, visible impairments. The definitions are in tension: survivors are almost always people with disabilities, and almost all people with disabilities have physical impairments that look like the injuries of survivors. These inequalities in care are partially the result of translocal systems of survivorship, via important groups such as the Landmine Survivors’ Network and the International Campaign to Ban Landmines. Building upon the pioneering work of these and other organizations, standards for the care of survivors tend to assume landmines and the lower limb injuries they cause. While survivors are recognized as a subset of a larger disabled population by care providers, in practice, disability services are often a subset of translocal survivor services in war-contaminated countries. War contamination is the standard catch-all phrase for remnants of war such as minefields, unexploded ordnance, and toxic wastes like Agent Orange. The lives of landmine survivors and the dangers of landmines are foregrounded in representations of war contamination globally, with very real consequences for people’s safety and health. Caught in translocal systems of survivor assistance based on landmine contamination, Laos winds up receiving expert care for disabilities that are far more likely to occur in Cambodia, Iraq or other heavily mined countries. Standards of care for lower-limb loss persist despite the fact that most survivors in Laos are not involved in landmine accidents and do not lose a lower limb (Boddington & Chanthavongsa 2009). The key difference across these zones of intervention is the type of contamination: unlike most other war-contaminated countries, the majority of war remnants in Laos are cluster-bombs. Cluster-bombs (or cluster-munitions) are usually dropped from aircrafts, breaking open in mid-air to disperse hundreds of submunitions over large areas. Usually, submunitions, or “bombies” as they are commonly known in Laos, are about 20 kilograms in weight, spherical, and fist-sized. Bomblets that fail to detonate are quite durable and generally do not explode if they are later disturbed or stepped on. Unlike minefields, which are often too dangerous to farm, cluster-bombed areas are commonly farmed and inhabited. Due to the particular features of this kind of ordnance (small size, stability, and geographical spread), people may live in even very contaminated areas. In postwar Laos, cluster bombs are the largest source of casualties (Boddington & Chanthavongsa 2009). Cluster bombs, unlike landmines, tend to provoke upper-body injuries (people pick them up). In the first national survey of survivors conducted in 2008, 70% of injuries were to the upper-body. Roughly one-quarter of all survivors qualified for a prosthesis—though only a tiny fraction reported receiving one (Boddington & Chanthavongsa 2009). Survivorship and victim assistance in Laos, as I now see it, are part of translocal ecologies of war contamination (i.e. areas impacted by different types of contamination) which are also “woundscapes,” i.e. zones “marked by injuries to bodies that index particular moments in the wounding capacity of technologies” (Terry 2009:203). These woundscapes are, importantly, zones of intervention for victim assistance organizations and bomb clearance operators. People with disabilities in Laos are being pre-figured by international patterns of war contamination, and by interventions generally designed to care for landmine survivor populations. From my point of view as a researcher, the experience is like shifting a holographic image until the perspectives align: What I am studying is no longer disability, per se, but how people inhabit a contaminated ecology that produces particular disabilities. 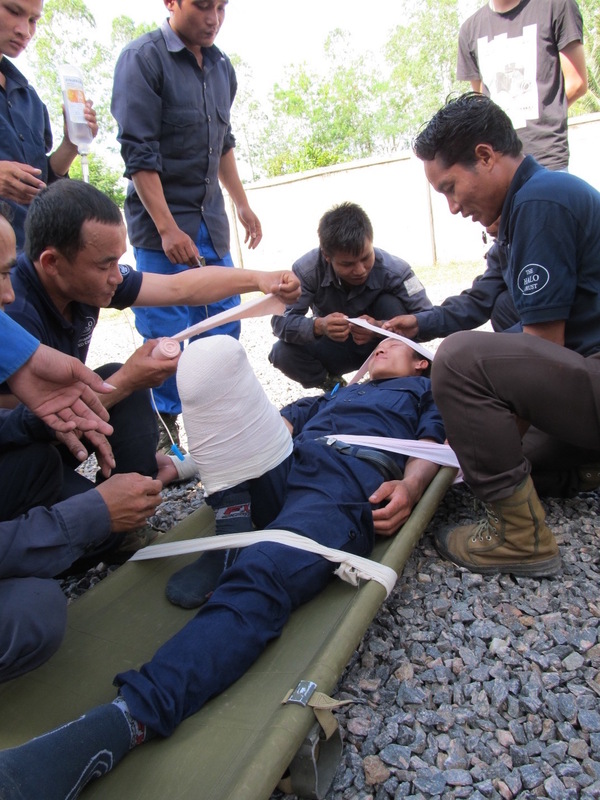 Figure 3: Clearance team medics practice how to treat lower-limb loss in Sepon, Savannakhet Province. Photo: Author. Why an ecology? By choosing to use ecological theories to think about war contamination, I am making a claim about how war waste transforms social and material systems. Ecologies describe the complex relationships between entities and an environment over time. Ecological theories excel at describing the material conditions that enable relations and the multi-scale, long-term transformations of these systems. War contamination is already represented in ecological terms by clearance operators (i.e. hazardous areas, waste, contamination, latency, residual risk). Branfman argues, based on military reports from the war, that the bombing of Laos was designed to destroy Lao society, to literally obliterate the foundations of the potential communist state (2013). Thinking through ecologies is one way to comprehend this pervasive, long-term transformation. Faced with a similar kind of transformation, Masco analyzes how the bomb produces “mutant ecologies” in post-Cold War New Mexico (Masco 2006: 298). Nuclear radiation permeates New Mexican social and material systems with its potential, setting the conditions for new ways of living and dying. Outside of military domains, theories of ecology have productively been used to think through contamination, latency, and risk (e.g. Choy 2011; Fortun 2001; Nash 2006; Petryna 2003). [ii] At more intimate scales, theories of ecology help me to understand how danger and disability become part of people’s worlds—literally, via the bombs in the soil. In Laos, what does this ecology look like? Though exact numbers are up for debate, the Lao government estimates that 25% of all villages are heavily impacted by explosive war wastes (National Regulatory Authority 2010). Villages in the most contaminated parts of Laos are often called bomb villages. I submit that they are not only bomb villages, but also bomb ecologies, or more specifically, cluster bomb ecologies. In a village in Khammuan Province of about one hundred and fifty people, an older resident told me that there were presently twenty living residents who had been injured in explosions. While this is an exceptionally high number, estimates of an average of five survivors per village are no more reasonable (Boddington & Chanthavongsa 2009). And yet, invariably, if I ask the village authorities if they have any problems with bombs, they will say “No, we have no problems.” There are several reasons why this paradoxical answer makes sense, not least being that it is illegal to deal in war scrap. Repeatedly meeting this response, I came to understand that war contamination is integrated into the local ecology—with all of the danger that implies. War waste are no longer exceptional and present as one among many risks in vulnerable communities (alongside scarce food, disease, landlessness, indebtedness, and malevolent spirits as reported by Uk 2006). Houses, fences, and even livelihoods are built using scavenged war wastes. Empty bomb cases are used as planters, troughs, poles for stilt houses, even bells in Buddhist temples. Gunpowder and other contaminants in the soil affect crop production. Metals are melted down into household goods, or sold to scrap dealers. War wastes drive cottage industries and the international trade in scrap metal, alike. In her analysis of imperial ruins, Stoler identifies war contamination in Southeast Asia as a prototypical example of how imperial projects (long since dead) become part of local ways of life—what I am calling bomb ecologies (2013:26). Part of a larger imperial formation, the postwar boom in scrap metal trading may be understood to presage the current transformation from battlefields into markets (to paraphrase a famous quote by Thai Prime Minister Chatichai Choonhavan) (quoted in Phraxayavong 2009:163-64). The fact that scrap traders may effect this transformation at the local level by risking exposure to explosive war waste is disturbing, but unsurprising in a bomb ecology. Clearance technicians in Laos face the peculiar problem of some residents refusing to give up their bombs for demolition without due compensation for the loss! Disability takes a particular shape in this bomb ecology. I met with a man working as a bomb clearance technician who is also a disabled survivor of a cluster bomb explosion. Having lost his leg in the explosion, he was initially able to draw on the local expertise of other survivors to make his first prosthetic leg out of bamboo. The military later provided him with a standard-issue aluminum leg in a program designed to help war martyrs. War martyrs are people that died or were significantly injured during the revolutionary struggle; they or their families may receive certain benefits from the government. This man is not legally a war martyr but received the aluminum leg as if he was. More recently, he was trained as a bomb clearance technician under a preferential hiring program to give people with disabilities access to quality jobs. The clearance operator that employs him prefers to hire survivors, but also hires people with disabilities more generally. His clearance sector job came with two new government-manufactured legs: a “village leg” and a “work leg,” the latter made out of plastic to prevent interference with metal detectors. 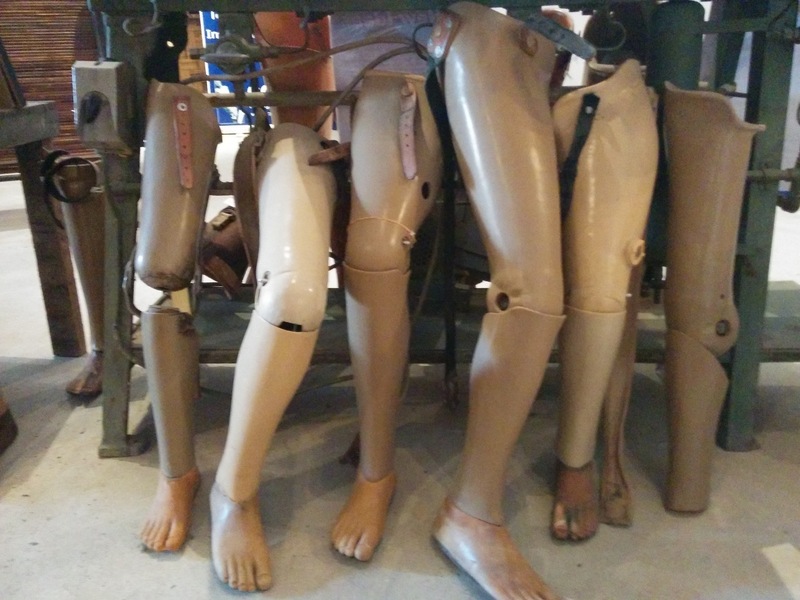 This practice of making all-plastic legs to enable survivors to work as clearance technicians was first developed for deminers in Cambodia. Landmine clearance requires using metal detectors set at a high sensitivity that might detect the metal joints of a conventional prosthetic. In cluster bomb clearance, which is more granular and diffuse, much lower sensitivity is required and the chances of a prosthetic interfering with the detectors is quite low. In this way, even though this man isn’t a deminer, he has a deminer’s leg. In this bomb ecology, even the artificial legs may be designed for inhabiting minefields elsewhere. Including his remaining leg, this man possesses not two, but five legs. His body indexes shifts in medical care and politics over time, from a homemade bamboo leg to a biomedical prosthetic, manufactured by the postsocialist state to facilitate wage-labor employment. Political changes in this ecology produce different iterations of his body; some more comfortable than others, some easier to take care of, some more employable. The all-plastic work leg, in particular, enables him to support his family in ways that the other legs do not. Limb loss multiplies the body via artificial limbs, adaptive technologies, medical procedures, phantom limbs, etc. Grounded in this ecology, multiplicity is part of how people become disabled or come to recognize themselves as disabled in different ways at different times. Disability is multi-scaling; a body or an individual body part is an ecology at another scale. These are not only five different legs, they are also five different ways of being legless. 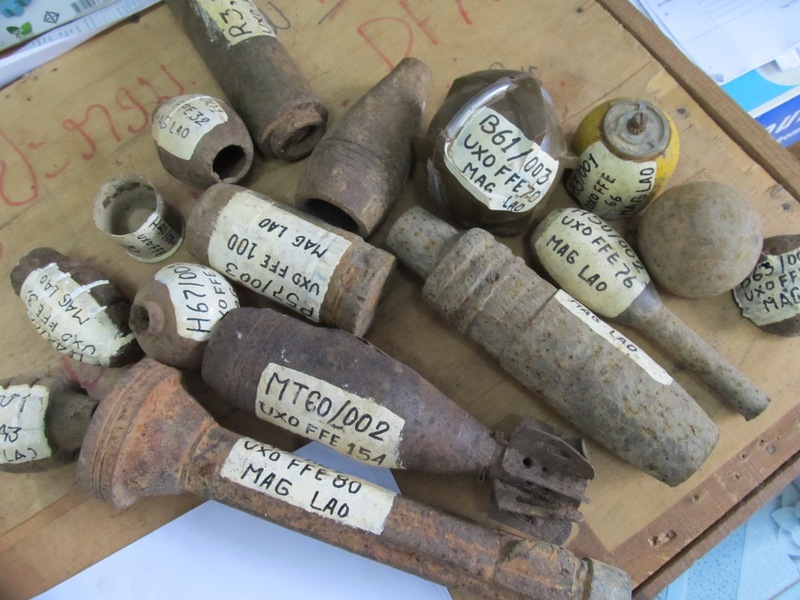 Figure 5: Defused cluster submunitions and other ordnance used for training purposes in Khammouane Province. Photo: Author. Whether understood as a bomb ecology, disaster culture (Button 2012), or risk society (Beck 1986), danger has become productive of certain kinds of bodies and disabilities. Such conjunctures between individual bodies, geopolitics, and environments may point to deeper processes of power in postwar zones. The bombing of Laos was the first automated, digitized air war, and remains the most intense air war in history (High, Curran & Robinson 2013). The war’s legacy of ongoing violence is unfortunately prescient of what is beginning in other areas: Syria, for example, might be an emerging cluster bomb ecology. There is a need for further study of the expanding domain of postwar reconstruction and the codependence of military and medical practices within this domain. It is increasingly important to study the transition from battlefields to marketplaces, and the reconstruction and rehabilitation practices that attend this transformation. [i]Due to the political sensitivity of disability and clearance practices in contemporary Laos, I have removed any subject-identifiers from my ethnographic data that are not essential to my argument in this paper (as I have in this example). Many common practices, such as war-scrap trading or village clearance ‘volunteering,’ are technically illegal. In some areas, even owning a metal detector may be prohibited. I use names or other subject-identifiers in ethnographic data only with permission or if this information is publicly available elsewhere. [ii] Theories of ecology that I quote here are distinct from theories of political ecology. See, for example, Baird and Le Billion’s work on the political ecology of war contamination in Laos (2012). Baird, Ian G. and Philippe Le Billon. 2012. “Landscapes of Political Memories: War legacies and land negotiations in Laos.” In Political Geography 31 (5): 290-300. Beck, Ulrich. 1986. Risk Society: Towards a New Modernity. Los Angeles: Sage Publications. Boddington, Michael A. B., and Bountao Chanthavongsa. 2009. National Survey of UXO Victims and Accidents: Phase 1. Vientiane: National Regulatory Authority for UXO/Mine Action Sector Lao PDR (NRA). Branfman, Fred. 2013. Voices from the Plain of Jars: Life Under an Air War. Second Edition. Madison: U of Wisconsin Press. Button, Gregory. 2012. Disaster Culture: Knowledge and Uncertainty in the Wake of Human and Environmental Catastrophe. Walnut Creek: Left Coast Press. Choy, Timothy K. 2011. Ecologies of Comparison: An Ethnography of Endangerment in Hong Kong. Durham: Duke UP. Convention on Cluster Munitions. Dublin, Ireland. May 30, 2008. United Nations Development Program. www.clusterconvention.org. Fortun, Kim. 2001. Advocacy After Bhopal: Environmentalism, Disaster, New Global Orders. Chicago: U of Chicago. High, Holly, James R. Curran, and Gareth Robinson. 2013. “Electronic Records of the Air War Over Southeast Asia: A Database Analysis.” Journal of Vietnamese Studies 8(4): 86-124. Masco, Joseph. 2006. Nuclear Borderlands: The Manhattan Project in Post-Cold War New Mexico. Princeton: Princeton UP. National Regulatory Authority for UXO/Mine Action Sector (NRA). 2010. The Unexploded Ordnance (UXO) Problem and Operational Progress in the Lao PDR: Official Figures. Vientiane: NRA. Nash, Linda Lorraine. 2006. Inescapable Ecologies: A History of Environment, Disease, and Knowledge. Berkeley: U of California Press. Petryna, Adriana. 2003 Life Exposed: Biological Citizens after Chernobyl. Princeton: Princeton UP. Phraxayavong, Viliam. 2009. History of Aid to Laos: Motivations and Impacts. Chiang Mai: Mekong Press. Stoler, Ann Laura. 2013. Introduction: “The Rot Remains”: From Ruins to Ruination. In Imperial Debris: On Ruins and Ruination. Durham: Duke UP. Terry, Jennifer. 2009. “Significant Injury: War, Medicine, and Empire in Claudia’s Case.” WSQ: Women’s Studies Quarterly 37(1-2): 200-25. Uk, Krisna. 2006. Local Perceptions and Responses to Risk: A Study of a Cambodian Village. Geneva: Geneva Institute for Humanitarian Demining. Leah Zani is a PhD candidate in the Department of Anthropology at UC Irvine. She welcomes comments at lzani @ uci . edu. Zani L. Bomb Ecologies? 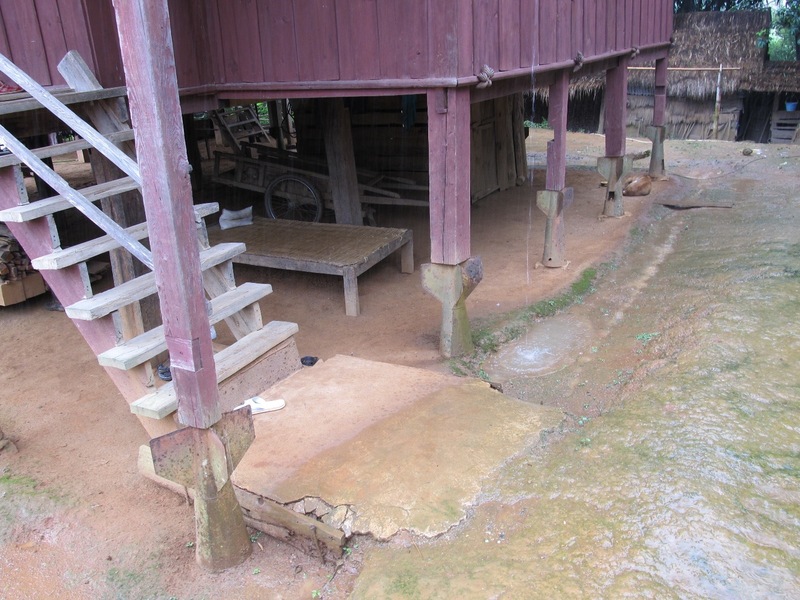 Inhabiting Disability in Postconflict Laos. Somatosphere. 2015. Available at: http://somatosphere.net/2015/bomb-ecologies-inhabiting-disability-in-postconflict-laos.html/. Accessed April 18, 2019. Zani, Leah. 2015. Bomb Ecologies? Inhabiting Disability in Postconflict Laos. Somatosphere. http://somatosphere.net/2015/bomb-ecologies-inhabiting-disability-in-postconflict-laos.html/ (accessed April 18, 2019).